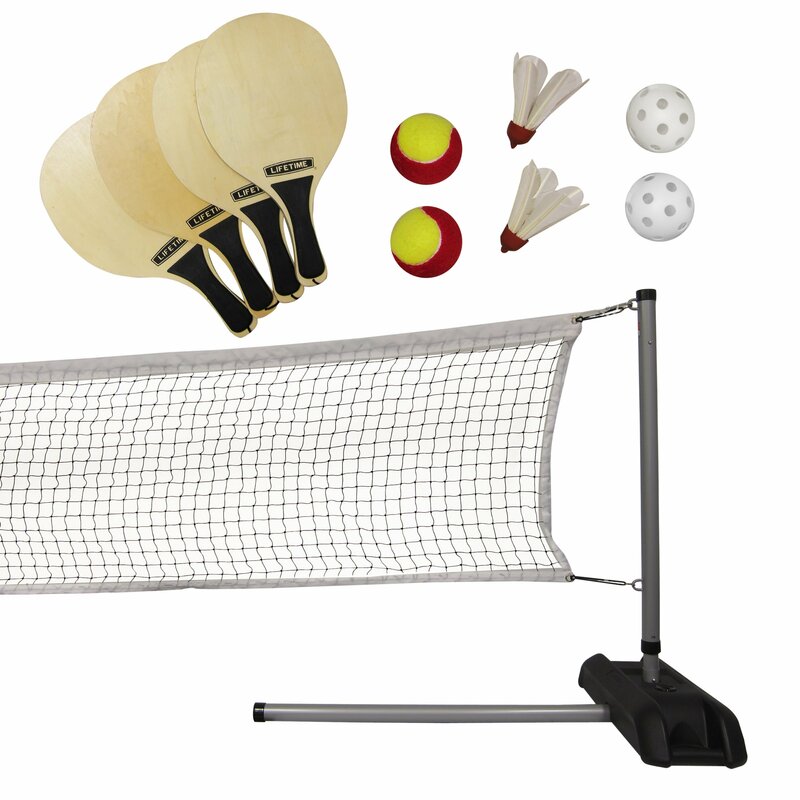 The Lifetime Driveway 3 Sport Set is perfect for Pickleball, QuickStartTennis, Badminton and other fun family games. The all-weather net and poleshave an easy, telescoping adjustment that creates two different heightsettings (36", 61") to accommodate a variety of games. The portable bases arefilled with sand or water and can be moved to any desired location. Thisportable design makes the set perfect for driveway, beach, pool or backyardplay! The set-up is quick an easy, and the all-weather materials will last foryears of family fun. The Lifetime Driveway Tennis Set comes with 4 woodenpaddles, 2 Pickleballs, 2 QuickStart Tennis balls, and 2 Paddle Birdies. Italso includes 2 carry bags for the poles and accessories.